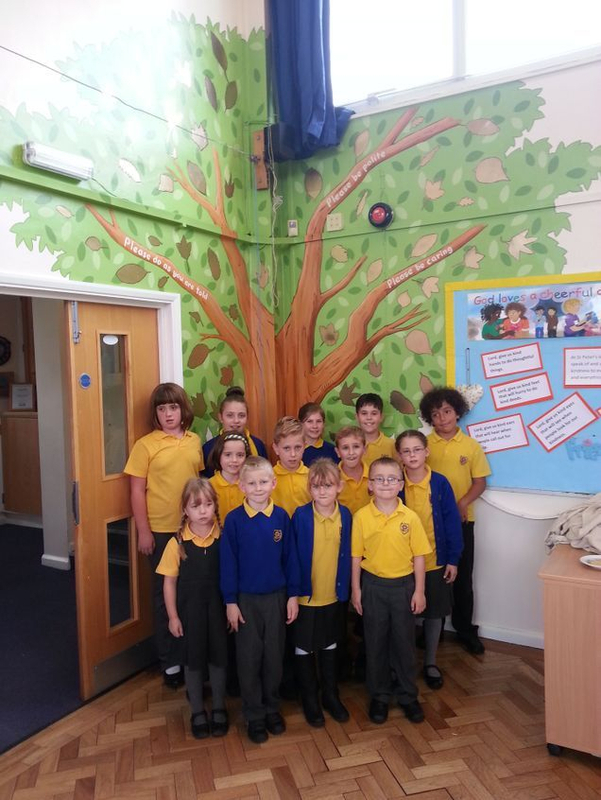 We painted this large tree mural at St Peters Primary School in Sittingbourne. They have a reward system in the school where by if a child does something good they get their name put in the golden reward book and if their name is featured three times they have their picture put on the golden reward tree.They had been using a display board, but wanted something a bit more permanent that the children could be involved with. Once we had painted the tree, we asked the children to draw some pictures of leaves on A4 paper. We then cut these pictures out to make stencils and one by one the children bought their stencil to us and told us where they would like their leaf spray painted on the tree. We then outlined each leaf to give it more definition. The children seemed to really enjoy being able to take part in something that would be a permanent fixture in the school that they could help personalise. 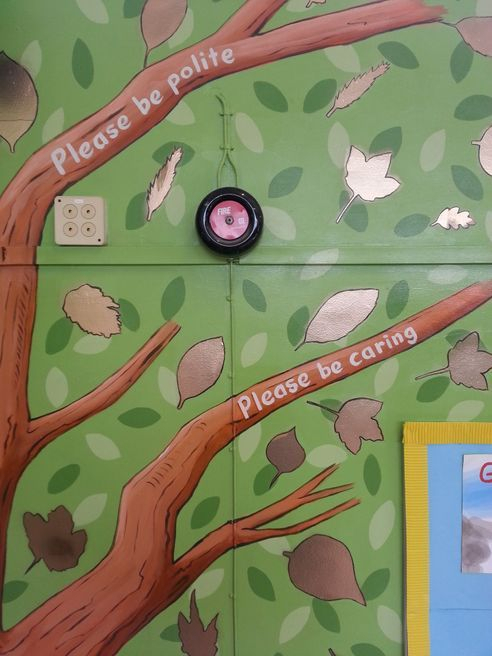 We then finished the tree by putting the three school rules on the branches and coating it with anti graffiti varnish to give it extra protection. This took us three days to complete including the children participation.